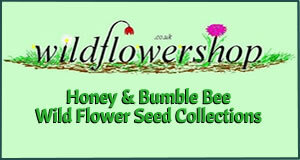 Beekeeping is a hobby which has an appeal to people in all walks of life. It can be practised with success not only in the country but also in many suburban areas and even successfully in towns & cities. Most beekeepers have only a few colonies and find their care a fascinating and often profitable spare-time occupation, though there is an important minority who keep bees on a scale large enough to give them a livelihood. Together, whether as professionals or as amateurs, they make a significant contribution to the nation’s food requirements, directly in the form of honey and indirectly through the activities of their bees on those crops that depend upon insect pollinators for a good set of fruit or seed. Unlike many other forms of livestock, honeybees do not demand regular daily attention from their owners. They forage for themselves whenever the weather is suitable, collecting pollen and nectar from flowering trees, shrubs and herbaceous plants, both wild and cultivated, which offer them a succession of sources of food from early spring until the autumn. Food not needed for immediate consumption by the bees and their brood (Young Bees) is stored in the combs for use when the weather is unsuitable for foraging. Discover any other situations within the stocks that may need attention from time to time. In order to do these things the stocks may need to be examined at intervals from April to September. But from October to March only an occasional visit is normally necessary, to ensure that all is well externally. Pleasurable beekeeping calls for an ability to work among bees at close quarters, handling their combs gently and deliberately. The prospective beekeeper should, therefore, first find out whether he is temperamentally suited to acquire the necessary skill before committing himself to the expense of setting up an apiary. 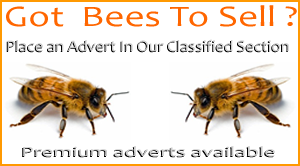 This he can best do by handling bees under the guidance of an experienced beekeeper. Some local authorities offer advice and instruction assistance at this stage, and the beginner should make application to the local beekeepers’ association . By joining such a group he gains the opportunity of meeting experienced local beekeepers and the benefits offered by the society to its members. Beekeeping is a hobby which has an appeal to people in all walks of life. It can be practised with success not only in the country but also in many suburban areas and even successfully in towns & cities. Most beekeepers have only a few colonies and find their care a fascinating and often profitable spare-time occupation, though there is an important minority who keep bees on a scale large enough to give them a livelihood. Together, whether as professionals or as amateurs, they make a significant contribution to the nation’s food requirements, directly in the form of honey and indirectly through the activities of their bees on those crops that depend upon insect pollinators for a good set of fruit or seed. Unlike many other forms of livestock, honeybees do not demand regular daily attention from their owners. They forage for themselves whenever the weather is suitable, collecting pollen and nectar from flowering trees, shrubs and herbaceous plants, both wild and cultivated, which offer them a succession of sources of food from early spring until the autumn. Food not needed for immediate consumption by the bees and their brood (Young Bees) is stored in the combs for use when the weather is unsuitable for foraging. By the end of the summer a healthy colony of bees is capable of storing not only enough food for its own requirements during the winter months but also, over and above this amount, a quantity of honey which the beekeeper can harvest for himself. The yield of honey for the beekeeper will depend upon the kind and quantity of bee forage plants to be found in the locality and the weather conditions prevailing when the various sources of forage come into flower. After a good summer in a district with plenty of nectar-yielding plants it can exceed 100 lb from one colony, but in a bad year the beekeeper may get no honey at all and have to feed his colonies with sugar to enable them to survive until the following spring. Basically, the beekeeper’s task is twofold: Provide his bees with sound hives whose capacity must be enlarged or reduced according to seasonal requirements Discover any other situations within the stocks that may need attention from time to time. In order to do these things the stocks may need to be examined at intervals from April to September. But from October to March only an occasional visit is normally necessary, to ensure that all is well externally. Pleasurable beekeeping calls for an ability to work among bees at close quarters, handling their combs gently and deliberately. The prospective beekeeper should, therefore, first find out whether he is temperamentally suited to acquire the necessary skill before committing himself to the expense of setting up an apiary. This he can best do by handling bees under the guidance of an experienced beekeeper. Some local authorities offer advice and instruction assistance at this stage, and the beginner should make application to the local beekeepers’ association . By joining such a group he gains the opportunity of meeting experienced local beekeepers and the benefits offered by the society to its members.